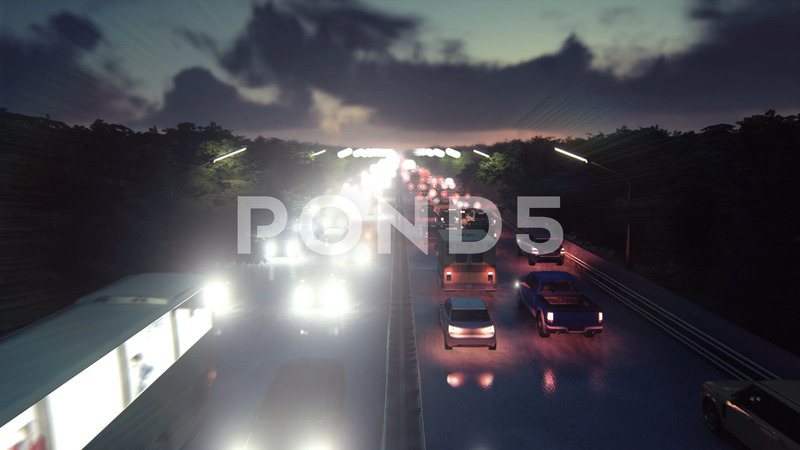 Description: The camera flies over heavy traffic. Cars with lights on go through the city at night. Produced in 4K.